Snoring can be an irritating issue that can be caused by many things. Click here to learn how nasal stuffiness, sleeping position, weight and sleep apnea can be linked to snoring. Snoring is one of the leading causes of poor sleep (and daytime exhaustion). This issue plagues thousands around the world, but few sufferers know the reasons behind this condition. Sometimes the fix can be as easy as using a snoring mouthpiece when sleeping. But each case is different, so here are five potential causes of your snoring. A cold or sinus infection could be the cause. Think about how your health has been recently. Are your nasal or sinus passages clogged more often? Do you have difficulty breathing through one or both nostrils? If nasal stuffiness is the cause, it should pass once you've recovered from your illness. If the issue persists, however, it may be time to explore snoring fixes. Also, related to breathing, drinking alcohol before bed can greatly increase your liklihood of snoring. 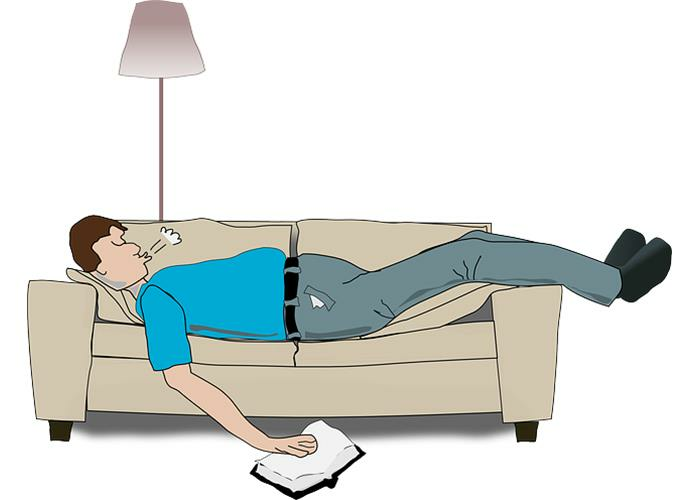 Sleeping on your back can greatly increase the chance you'll snore. The effects of gravity on the airway may narrow the passage during sleep, thus making the vibrations that cause those loud noises when you sleep. The best way to solve this issue is to sleep on your side. An increased amount of weight around the throat area can begin to crowd your airways while you sleep. Muscles in your throat may not be strong enough to hold up additional weight. The surrounding fat may narrow your breathing passages, making it more likely to vibrate and cause snoring. If you think your weight might be the cause of the issue, discuss this with your doctor. Sometimes snoring is just an annoyance and nothing more. Othertimes, however, constant and loud snoring could indicate sleep apnea. According to the American Sleep Apnea Association (ASAA), half of all chronic snorers actually suffer from Obstructive Sleep Apnea, also known as OSA. If you or a loved one snore, and also gasp, choke, or cease to breathe for long periods of time during their sleep, see a doctor as soon as possible. Sleep apnea is a medical condition that needs to be treated. Sleep apena has been linked to many health problems, include memory loss. If you have daytime fatigue, you may have sleep apnea. How Can I Stop The Issue? Whether it’s a change in lifestyle or sleeping habits, snoring can be stopped, and many people have found success with the use of mouthpieces. They can even help with sleep apnea. When it comes to eliminating the problem, a low cost, do-it-yourself solution is a snoring mouthpiece. By using a snoring mouthpiece, you can quickly see if your problem is an obstructed airway. What's The Right Solution For Me? A snoring mouthpiece is an easy, low cost way to reduce or eliminate snoring. There are many different products on the market. These range from adjustable mouthpieces like the PureSleep to the one piece mouthpieces. You can read a review of snoring mouthpieces on our site. We have reviewed many popular mouthpieces.